Takamatsuya is a two-storey building. 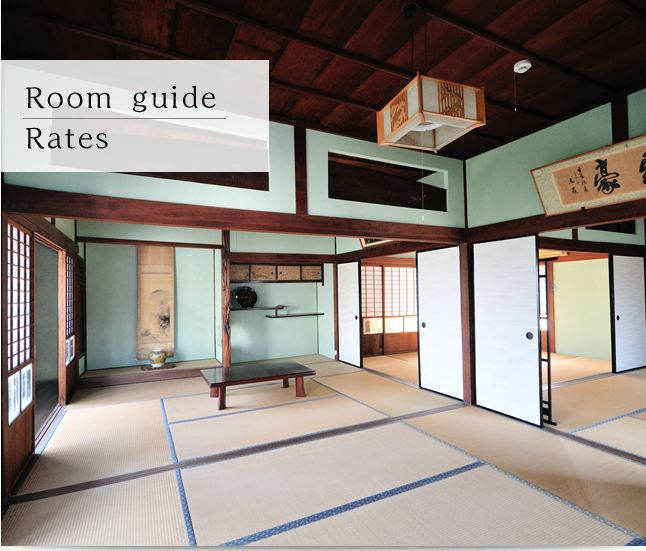 It has a total of 7 spacious Japanese-style rooms spread out over both floors. *The bathroom has shampoo and body soap for guests to use. The whole building is a non-smoking. Please bring your own pajamas and toothbrush. Equipped hair dryer can be used in the shower room. If you wish to use it in the room, please bring your own hair dryer. Dinner: Please make a reservation directly to the restaurant at the recommended corner.When booking, please tell the restaurant that you will stay at Takamatsu-ya. Please make any cancellations requests as early as possible. Use the rental bicycles available at the NPO Teshima PP Project. 30 seconds on foot from Takamatsu-ya. You can eat the set meal that shop owner using seasonal ingredients is left behind. We will guide you at the Takamatsu store lodging priority. 2 minutes on foot from Takamatsu-ya. We will deliver the cuisine that you can enjoy Megumi on the ground using sea and mountains of the island, rich natural seasonal ingredients. Please spend a relaxing moment while feeling the unique taste of Teshima. 3 minutes on foot from Takamatsu-ya. A small okonomiyaki shop. If the timing matches, you can eat the fish of the sea of Teshima, mountain of the mountains. Grain eateries friendly to heart and body using Teshima and nearby ingredients with the concept of "comfortable" for people and the earth. Here you can relax on the open terrace while gazing at the spectacular ocean scenery of Teshima and enjoying the refreshing sea breeze of the Seto Inland Sea. The restaurant serves delicious meals to complement its excellent surroundings. This is a reformed space that was once the work area for producing dried laver seaweed. It’s a natural melting pot of everyday tools used on the island and the works of artists.